How the Bush Administration is Abusing the ‘War on Terror’ to Cover up the Continuous Crimes of the World’s Largest Terror Organization – the Pharmaceutical Cartel and its Trillion Dollar Fraud Business with Diseases. A series of Congressional Hearings were held about 9/11 and the ‘War on Terror’ and the reports thereof have become bestsellers. They concluded that George Bush and his Administration have continuously deceived the public, obstructed investigations at the highest level and deliberately withheld critical information from millions of Americans. But surprisingly, none of these reports addressed the decisive question: why would a government lie to its own people on matters of life and death? The answer to this question is even more important since George Bush has made the ‘War on Terror’ the central theme of his attempt to get re-elected and his unscrupulous warning to the people of America to continue this ‘state of war’ for years to come. The answer to this key question will decide the outcome of the presidential election. New York City, September 11, 2001. Almost 3,000 innocent people died in this tragedy. The same number of people die every ten days from side effects of prescription drugs (Journal of the American Medical Association, JAMA, April 15, 1998). More than one million Americans die each year from preventable diseases because the Pharma-Cartel deliberately denies them access to life-saving information on natural health. The pharmaceutical industry is an investment industry that defrauds millions of people by promising them health yet the growth of this industry depends on the continuation and expansion of diseases as markets for their patentable drugs. In order to conduct their global fraud operation, the drug industry needed to eliminate the dissemination of effective, safe and natural alternatives that are non-patentable and less profitable. For decades, the ‘Pharma-Fraud’ business spent billions of dollars to buy strategic influence in medical education (‘pharmacology’), health care providers, the media, political parties including the Bush administration. The pharmaceutical and petrochemical (oil) industries are held in the hands of the same financial interest groups, such as Rockefeller and J.P. Morgan. They were the largest donors to Bush’s election campaign in 2000. Without this money, the Bush administration would not be in the White House today. In return, five out of ten key legislative initiatives during the Bush administration were nothing other than trillion dollar government subsidy programs for the pharmaceutical drug cartel. This huge amount of money – paid by the tax payers of America – is being rechanneled into the pockets of the Pharma investors despite the fact that safe, effective natural health alternatives are available. Millions of Americans are deliberately kept in the dark about the fact that the most common diseases among people – cardiovascular diseases, cancer and others – are essentially unknown in the animal world. Animals produce their own vitamin C and other essential nutrients that stabilize their connective tissue and enhance their immune system to defend them against diseases. Millions of people in America and beyond are dying from preventable diseases that only continue to exist because life-saving information about the true causes and cures is being purposely withheld from us for one reason only – financial gain for the Pharma Cartel. The consequences of ‘Pharma-Fraud’ and ‘Pharma-Terror’ on the lives of the American people. For the past decades, more than one million lives could have been saved each year if the vital information on effective and safe natural health approaches had not been deliberately withheld by the pharmaceutical cartel and its political stake holders – in particular the Bush dministration. The people in America are waking up to the fact that another unthinkable dimension has to be added to the multi-trillion dollar ‘Pharma-Fraud’ – the ‘Pharma-Terror’ being responsible for unnecessary deaths in genocidal proportions. During the first days of August 2001 – only weeks before 9/11 – the scandal around the deadly side-effects of cholesterol-lowering drugs became world news. More than 50 people had died from one drug (Baycol) alone and a time bomb was ticking in more than 6 million(!) people taking this drug. Other drugs were to follow. The beginning avalanche of class action lawsuits against all major multi-national drug companies would have led to a meltdown of this investment industry. The losses for the special interests around the Rockefeller group would have amounted to trillions of dollars. Then, on Monday, August 6, 2001 – precisely in the middle of this disaster – George Bush received the now infamous Presidential Daily Brief entitled ‘Bin Laden Determined To Strike in US.’ George Bush must have realized that such an ‘attack’ would turn media interest immediately away from the imminent trillion dollar losses of the drug investors and turn it towards the tragedy that then happened on September 11. What did George Bush do? The recent Congressional Report on 9/11 revealed: George Bush decided to do nothing! George Bush and his Administration even went one step further. They abused this tragedy and developed their infamous ‘War on Terror’ campaign with the deliberate goal to regain control and develop counter strategies for the survival of the threatened drug industry. 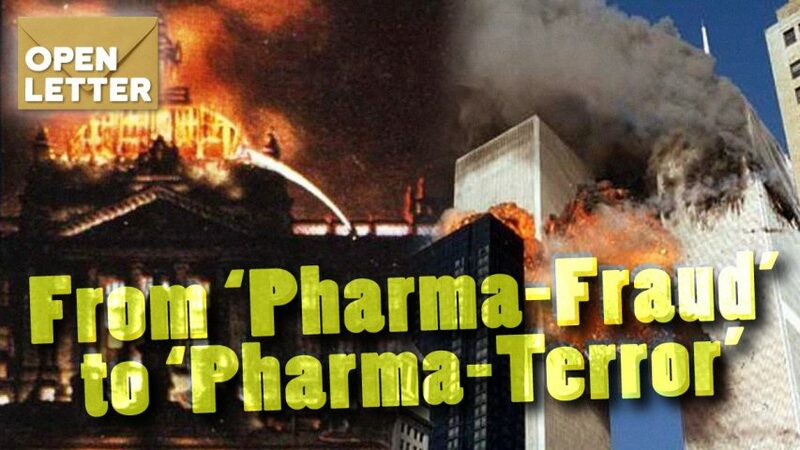 George Bush’s ‘War on Terror’ is nothing other than a smoke screen to protect the ‘Pharmaceutical Terror Organization’. Its executives and financiers are responsible for the ongoing unnecessary death of millions of patients in America alone. The ‘War against Terror’ and the war against Iraq are not primarily about fighting ‘terrorism’ or conquering oil fields. It is part of a long-term strategy of the pharmaceutical/petrochemical investment groups to create the psychological state of fear to maintain global control. Long term international conflicts, wars – even the use of weapons of mass destruction – can be used to achieve this goal and suppress any opposition. People of America: It’s Time to Act! Impeach George Bush. If the American people and their political leaders do not have the courage to start impeachment proceedings now, Bush and his financiers will be held responsible by international tribunals in the near future. And they know that. This is the reason why the Bush Administration has already coerced more than 50 countries not to sue them at the International Criminal Court in The Hague. Bring Pharmaceutical ‘Terror Organization’ to Justice for their crimes. In my last Open Letter in the New York Times four weeks ago, I encouraged the people, communities and States across America to file lawsuits against drug makers in order to save millions of lives and to bring the trillion dollar pharma-fraud to an end. Within days, the State of New York filed lawsuits against all major drug companies for fraud against the people of America. This was an important first step. In order to terminate the institutionalized terrorism of the pharmaceutical business with disease, all States, communities and all people must join this action. Berlin, February 27, 1933. 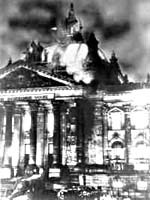 71 Years ago, the German Parliament building, the Reichstag, was set on fire. This event delivered the pretense for the transformation of a democracy into a dictatorship on behalf of the largest European corporate chemical Cartel – the precondition for WWII. 71 years ago, an event shocked the world and set the stage for the last World War. On February 28, 1933 the German parliament building, the Reichstag, was set on fire. The official version that ‘terrorists’ had led the attack was soon questioned by many. Today it is a fact that the burning of the Reichstag was deliberately used as a pretense and that the ‘empowerment laws’ following this event had been prepared in advance. empowerment laws were enacted, including a “Homeland Security Act” (“Schutz von Heim und Reich”). 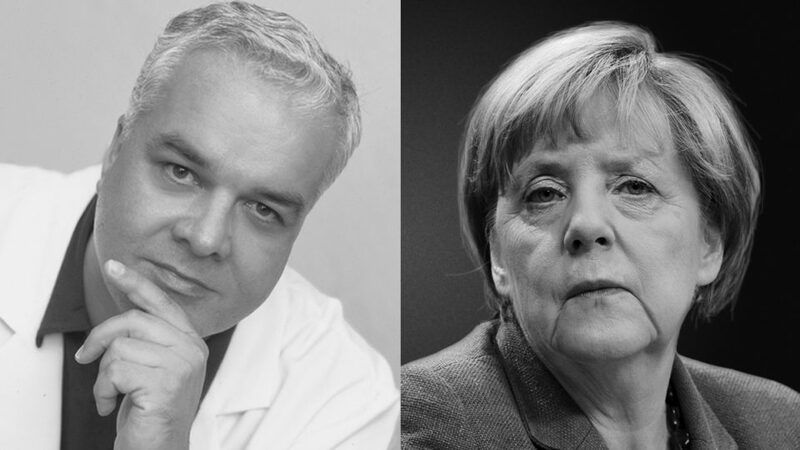 This disaster provided the legal platform for 12 years of dictatorship in Germany and for WWII. The main benefactor of this war was IG-Farben, the largest European chemical Cartel seeking control of the oil and chemical industry across Europe and worldwide. In the Nuremberg War Tribunal in 1946/47 this Chemical Cartel was tried for ‘attack war’, ‘robbery’ and ‘slavery’ and – as a result – it was dismantled into Bayer, BASF and Hoechst. This War Tribunal established that without these corporations, World War II would not have been possible. US-Chief Prosecutor Telford Taylor stated: “If their guilt is not brought to the daylight, they will do even more harm in future generations.” Then and now millions of decent people are in danger of being mislead by their own governments. And those who do not learn the lessons from history are doomed to live through it again!